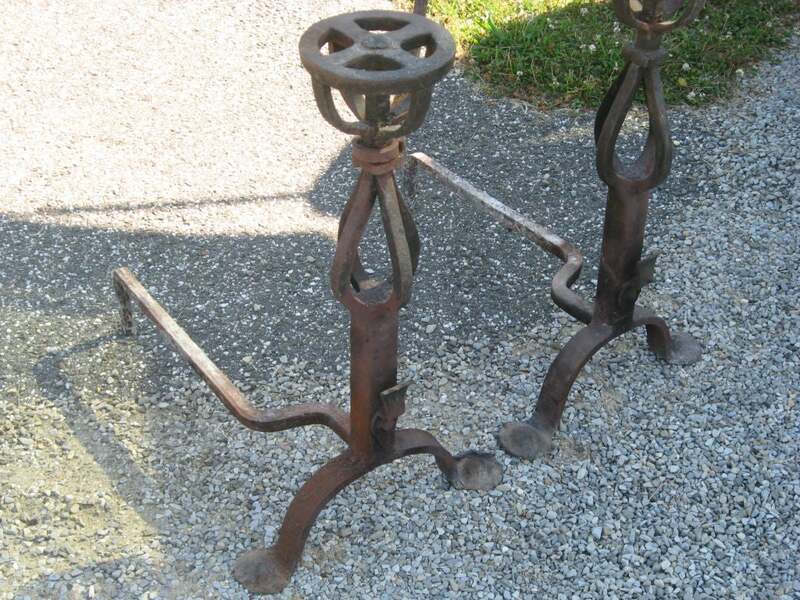 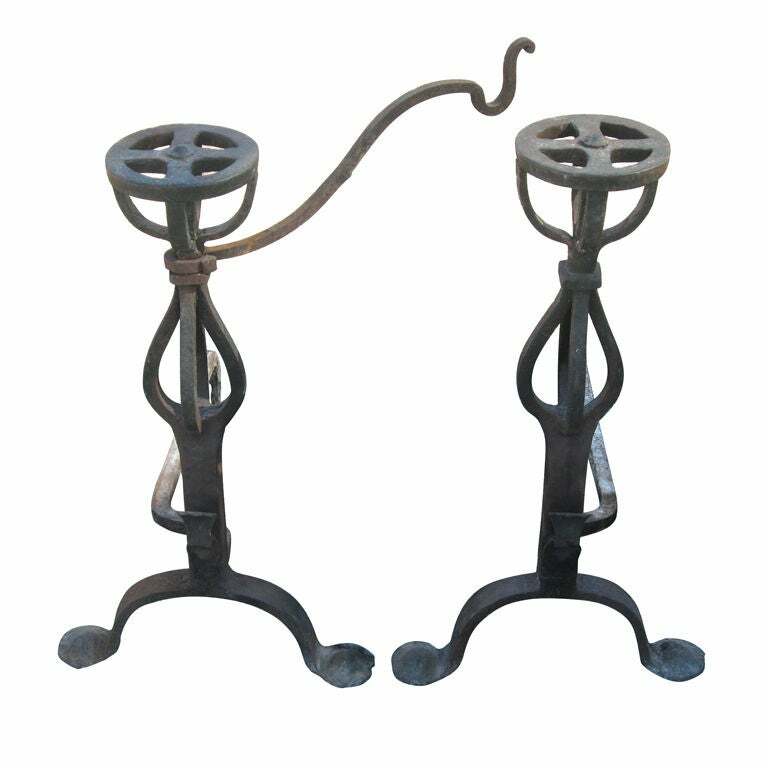 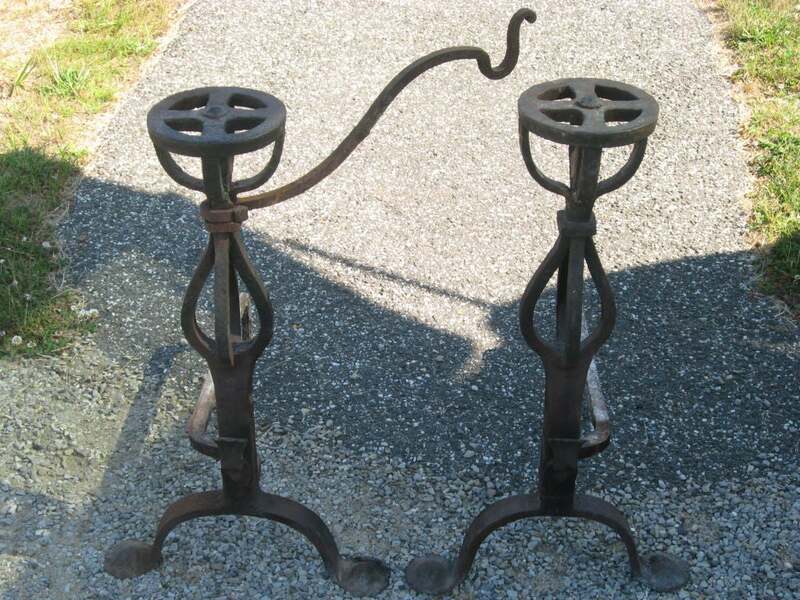 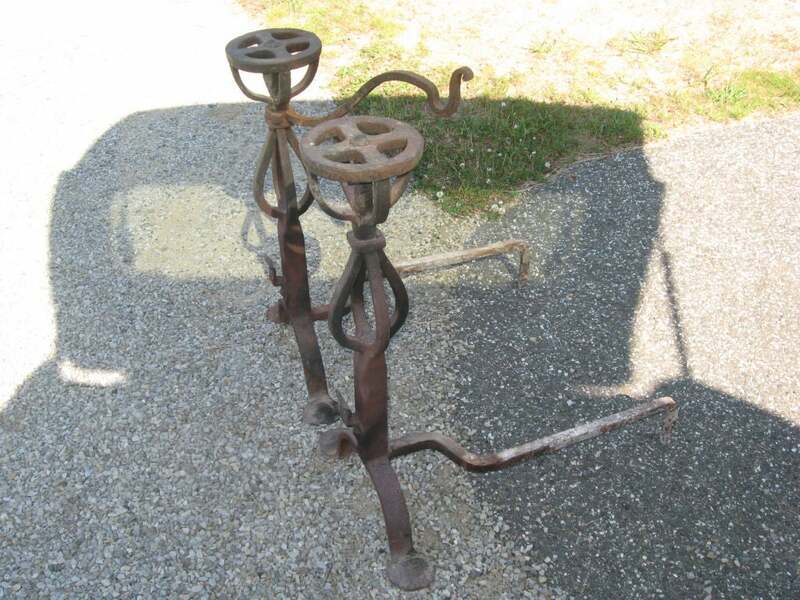 Vintage pair of hand-forged iron andirons with pot holder. 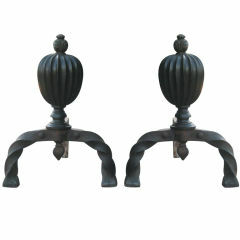 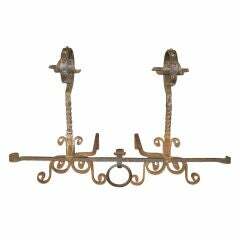 Pair of massive hand-forged iron Andirons-Hampton location..
Rennaisance style bronze and hand-forged iron andirons with great patina. 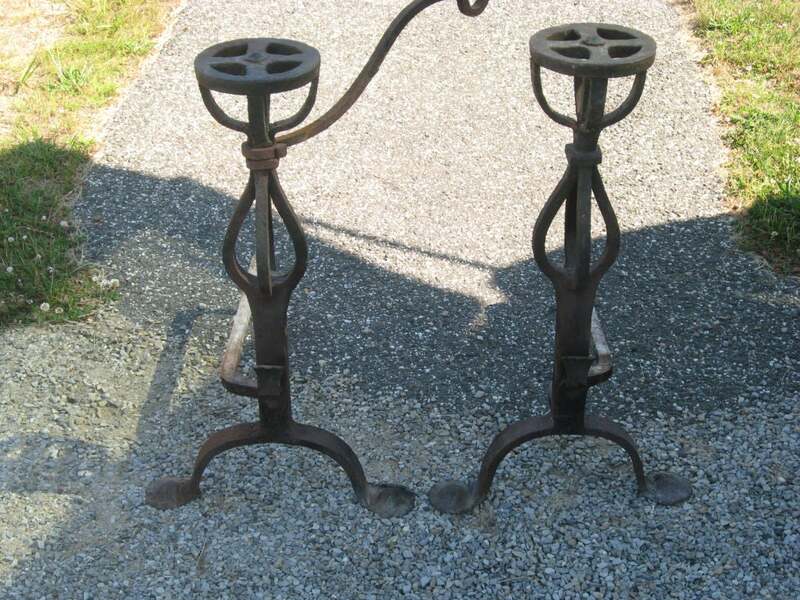 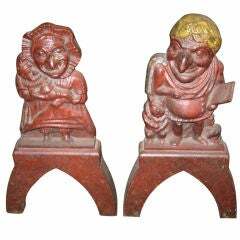 Pair of early Punch and Judy andirons with great original patina. 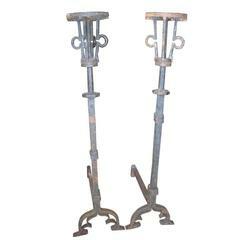 Pair of fabulous tall Swedish brass andirons.